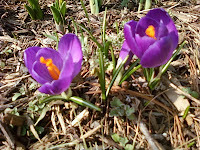 Do you feel spring? It’s coming… The most beautiful time of the year. What could be better than having a little vacation before summer time? Would you like to have a couple days off and run away from the routine of your job, home, life? Relax and get some energy, go outside! Come to visit the town of Middleburg in Virginia! The Middleburg area is the perfect place for relaxing, shopping, dining, visiting farms, tasting wines and many other attractions. Do you like horses? Perfect! Since the early 20th century, Middleburg gained a reputation as the Nation’s Horse and Hunt Capital. The Middleburg Spring Races and the Virginia Fall Races are highlights of the Hunt Country’s spring and fall racing seasons. The Spring Races got its start in 1911 and has gone on to become a regional icon. The Fall Races, also known as the Fall Race weekend, is an event that many horse lovers look forward to every year. The Middleburg Spring Races are coming on April 17th, 2010. You can find more information at: www.middleburgspringraces.com. Don’t know where to stay? Stay at Briar Patch Bed and Breakfast Inn! For your best little vacation we offer 8 rooms in the main house and for more privacy – the cottage with separate kitchen. You can spend time in our hot tub, on our front porch with views of beautiful Bull Run Mountain or go exploring Middleburg. 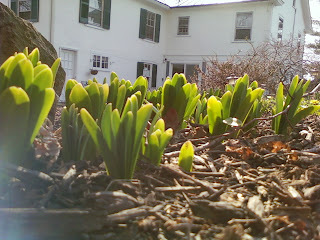 For more information, visit our website: www.BriarPatchBandB.com. Labels: Bed and Breakfast, Briar Patch, dining, Fall Races, farms, horses, Middleburg, shopping, Spring Races, vacation, Virginia, wine.